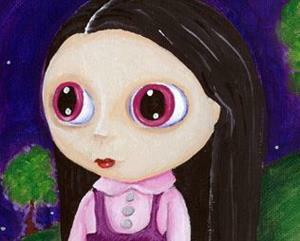 this is one of my favourite Blyteh inspired paintings. It is being used as an image in an upcoming book about contemporary Big Eyed artist. 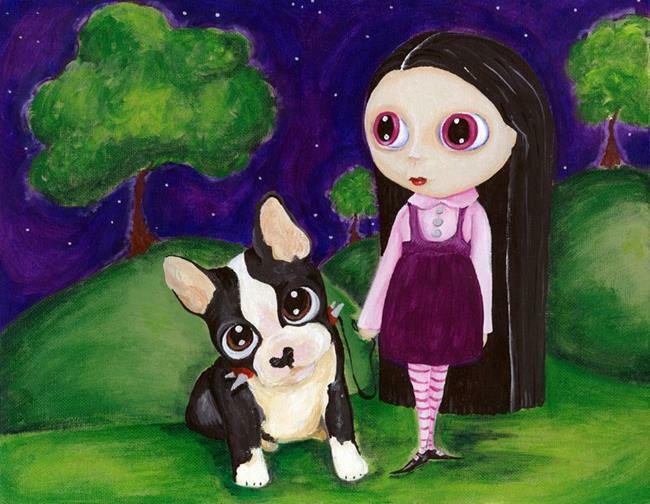 This melancholy girl wanders through her dark world accompanied by her sweet Bostie dog, who looks almost as sad and lost as she does. 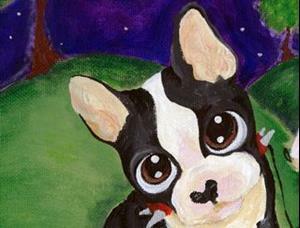 I like to inspire a mood but let the viewer decided what the characters are thinking or doing in any painting.